Sweet on the heels of Voice is The Original Instrument (1976), the fantastic Arc Light Editions present a necessary reissue of Joan La Barbara’s prism-pushing avant garde opus Tapesongs (1977); a pioneering work of extended vocal techniques, electronics and tape cut-ups, which also includes contribution by John Cage and tympani performed by Warren Smith and Bruce Ditmas. 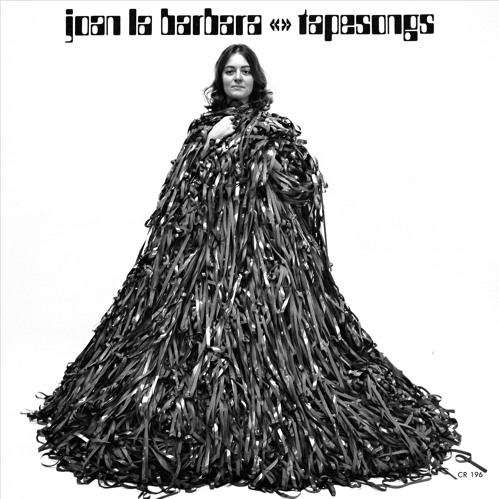 Joan’s voice is still the original instrument on Tapesongs, but it's not the only voice on the record. We’re talking about her “burning take-down” of Cathy Barbarian in Cathing, which perhaps requires the listener to add an “s” to the title in order to reveal its cunningly punny intent in context of the piece. Taking a broadcast sample of classical American soprano Cathy speaking in reference to “these people… who dedicate their whole existence to developing a technique”, recorded during an intermission of Joan’s 1977 Holland Festival concert, and followed with the snide remark “I doubt many of these singers can sing in the true sense of the word”, Joan is very well justified in flipping Cathy the bird with a brilliant cut-up demonstrating the range of vocal possibilities that clearly lie beyond the establishment’s comprehension, and better yet by showing that Cathy can actually do it herself, albeit with a little (probably a lot of) processing. 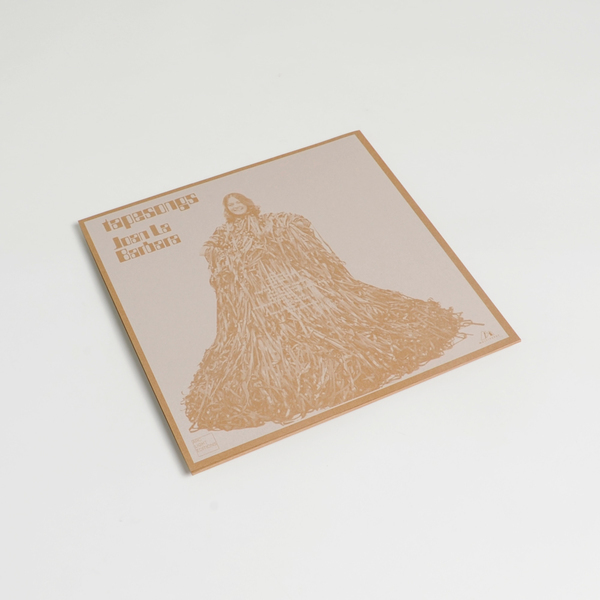 It’s fair to say that pieces such as this have laid the bedrock for reams of explorative artists of all genders, but particularly the experiments of Kate Bush, Björk or Katie Gately in their shared predilection for high register flutters, glissando and perception warping sonics. Likewise, Joan’s performance of Solo For Voice 45 - taken from John Cage’s landmark theatre piece Song Books - places challenging, rigorous concepts in a delightfully playful context, with rapidly fleeting, calligraphic strokes of vocal determined by aleatoric (“chance”) methods and interspersed by pointed lacunæ, whilst Thunder occup[ies the entire B-side with 22 minutes of roiling tympani and Joan sounding like a flock of demented seagulls angling for your chips. 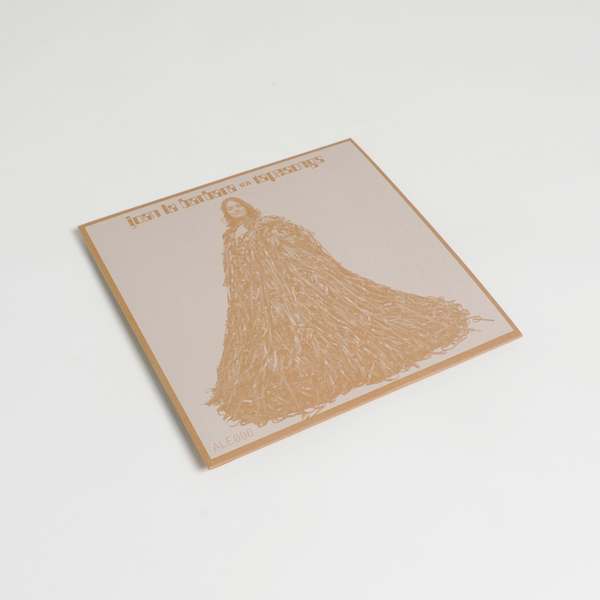 Quite importantly, these recordings don’t seem to have aged one bit, aided by Rashad Becker’s faithful remastering, but also likely due to Joan’s wonderfully open-ended, searching and prescient spirit.